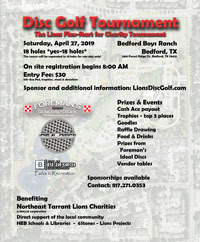 The Northeast Tarrant Lions Club invites you to join our club. We serve the HEB area and meet on the 1st and 3rd Tuesday evening, 6:15 PM at the Spring Creek Barbque - Hiway 183 and Forest Ridge, Bedford, TX. Please consider making a tax deductable donation to our club using the website above. is a 501(c)3 corporation and all donations may be tax deductable. Ultimate payout based on number of registered golfers ($30) with $10 going to the pot. For sponsorship opportunites, clik here. Right Click to save. Click here for the brochure. Right Click to Save. Need our Social Media graphic? Post, tag and like at Our FacebookPage. 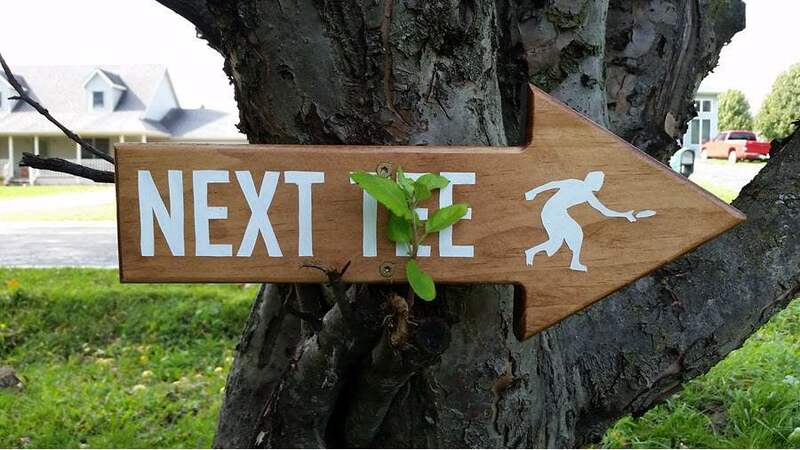 Disc golf is one of the fastest growing sports in the world. 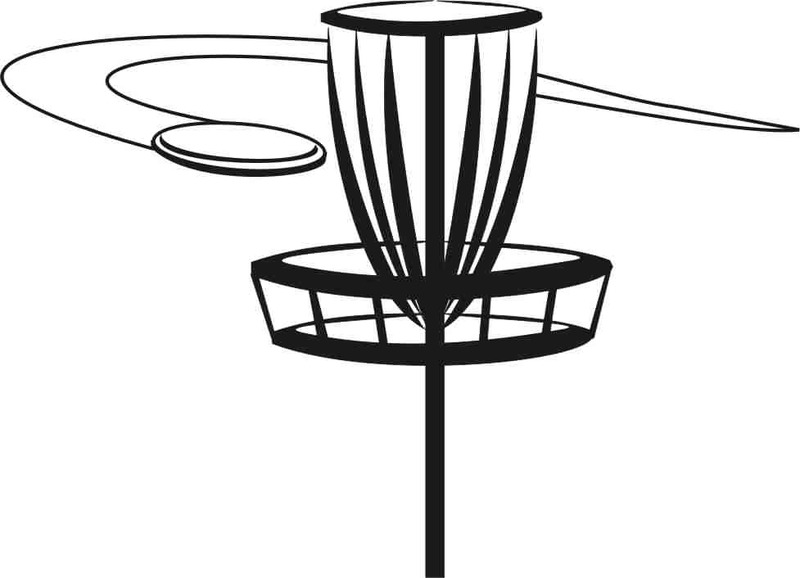 Player ages span all marketing groups and there are thousands of registered disc golf players in the DFW area! (Not counting the casual players.) 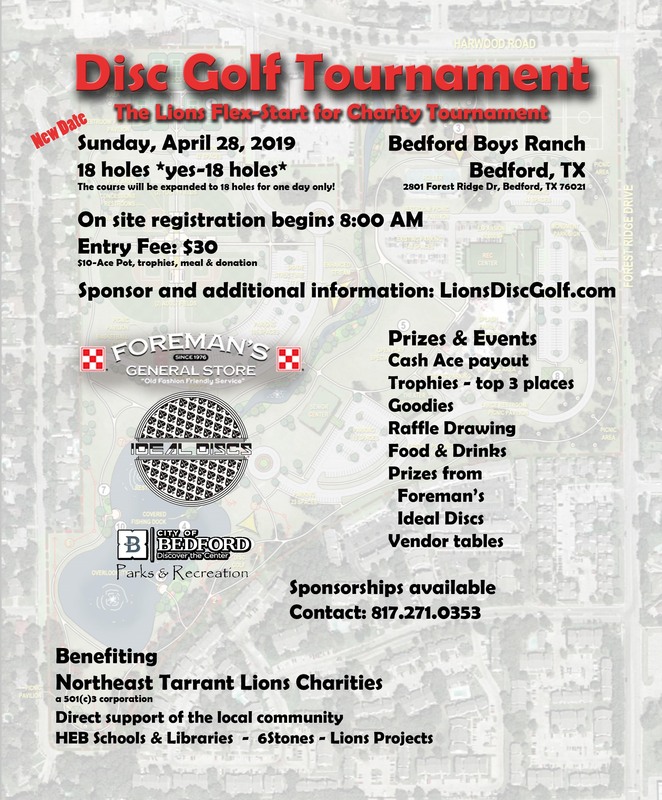 We are creating an 18 hole one-day-only course at the Bedford Boys Ranch, which will attract players from all over the Metroplex. What a great opportunity to get your name and logo in front of the players and on the Northeast Tarrant Lions (NET) website for up to six months- an opportunity you will not want to miss!